When your RV suffers damage in a collision or simply wears out, you can't take it to a normal mechanic for repairs. That mechanic may know what to do with any make or model of car or truck, but he or she might not know what to do with a bigger vehicle like your coach or trailer. Save yourself the trouble and come to Chehalis Collision Center for RV repair instead. Our locally owned and operated mechanic's shop has served thousands of customers from Chehalis, WA and the surrounding areas. We can work with any kind of RV as well, including motorhomes and fifth wheels. We'll even negotiate with your insurance on your behalf while we complete work on your vehicle. 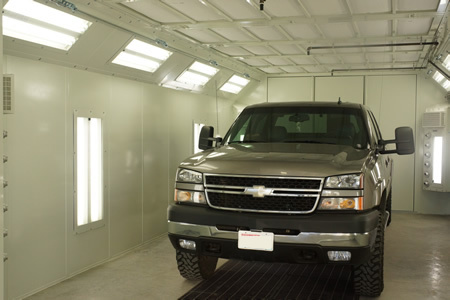 We have uniquely designed our Chehalis, WA shop with RV collision repair services in mind. 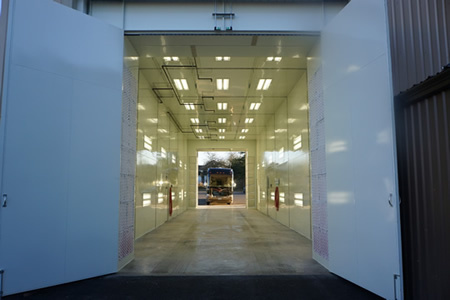 One of our two paint booths is massive, so we can repaint even the largest coaches. 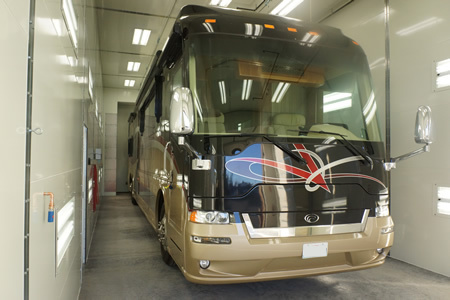 We also have the ability to repair an RV's larger glass frames, and we carry a large inventory of high-quality RV parts. For maximum accessibility, we have a 10-ton crane that can lift your motorhome or coach into the air for easy, fast, and accurate body repairs. No matter which part of your recreational vehicle breaks, we can not only reach it, but repair or replace it as well. Additionally, our capabilities even include towing services. So, if your RV breaks down on the side of the highway, we will retrieve it for you. You don't have to worry about leaving your trailer or coach in the open overnight. Come visit us at our shop in Chehalis, WA, or call us at 360.996.4263 to schedule recreational vehicle repair services. We'll make your vehicle functional again and get you back to your road-trip adventures in no time.